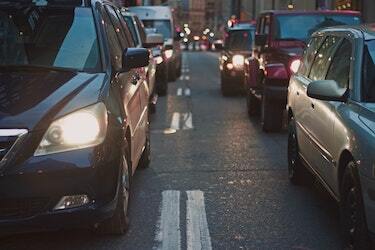 Malta’s traffic situation has reached epic proportions and with families owning two, three and even four cars, it is little wonder that our roads are congested, polluted and bursting at the seams. One of the ways that we can all help reduce the problem is simply by using fewer cars. But how? GoTo is Malta’s first electric car sharing service and we are going to help you become part of the solution to Malta’s traffic and pollution problem. How Will GoTo Car Sharing Work? Car sharing is different to carpooling, and no, there’s no karaoke in there either. With carpooling, you are essentially sharing a car with strangers, but with car sharing, you pay a nominal all-inclusive amount to rent a car for a period of time, even at 15 minutes notice! Rates are as cheap as €0.28 per minute (when choosing a Standard Plan). The system is simple. Register online to become a member of this car sharing community. After your registration is confirmed (it may take up to 24 hours), you can start using the service. Just download the app, book your car and go and pick it up. Finding your GoTo car is as easy as pie; after all, it’s quite hard to miss a car with a huge purple lightning bolt striped down its side … oh, and it shows up on the app too! Your GoTo electric car will be parked in its reserved spot … Yes, you heard that correctly! GoTo cars have more than 450 reserved spots all around Malta and Gozo, so you really don’t have to set off two hours early to get to your destination and find a parking spot. The car is keyless, so just unlock it with your phone and off you go. How Can it Benefit Malta’s Traffic Situation? So, back to the business of pollution and traffic. Because GoTo cars are so easily available, the fact that people will use them means that there will be fewer cars on the road. People will only need to use them for short periods of time. For example, if a person uses a car for an hour a day, then the car is available for the remaining 23 hours for other to use. The car is used by multiple people, freeing up a lot of parking spots. In the long run, car sharing can reduce the number of cars on the roads, simply because people will opt not to own a car. For instance, if people use a car for only a few hours a week, they might decide to use car sharing instead. That would save them lots of money. As reported by Deloitte, car sharing has been around for decades in Europe and has been hailed as a positive traffic reduction strategy in major cities, including London, Paris and Rome. The experience from other cities shows that one shared car in the long run can remove 11 vehicles from the roads. We have a fleet of 150 vehicles, so if you do some maths, that’s 1,650 fewer vehicles on Malta’s roads. GoTo’s cars are also electric and while the direct replacement of petrol or diesel vehicles by our fleet will help the overall situation, we are looking beyond this. Malta’s electric car infrastructure is still in its infancy, and by helping build and develop it further, we hope to encourage more electric dreams to come true. We believe that GoTo Malta will stimulate more interest in electric vehicles and encourage others to take charge and drive positive change not only for Malta and GoTo, but in the world as well.